Duggar Family Blog: Duggar Updates | Duggar Pictures | Jim Bob and Michelle | Counting On | 19 Kids: Duggar Engagement #3! Two months after Jim Bob and Michelle Duggar gave their first daughter away in marriage, wedding bells are ringing for another Duggar. 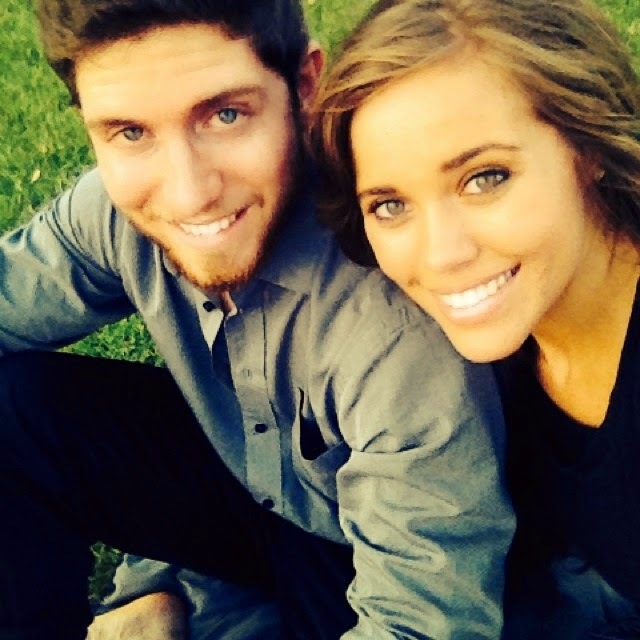 The world has been following the relationship of Ben Seewald and Jessa Duggar since the couple began courting 11 months ago, eagerly awaiting an engagement announcement. Last night, Ben Seewald got down on one knee and asked his girlfriend to marry him. 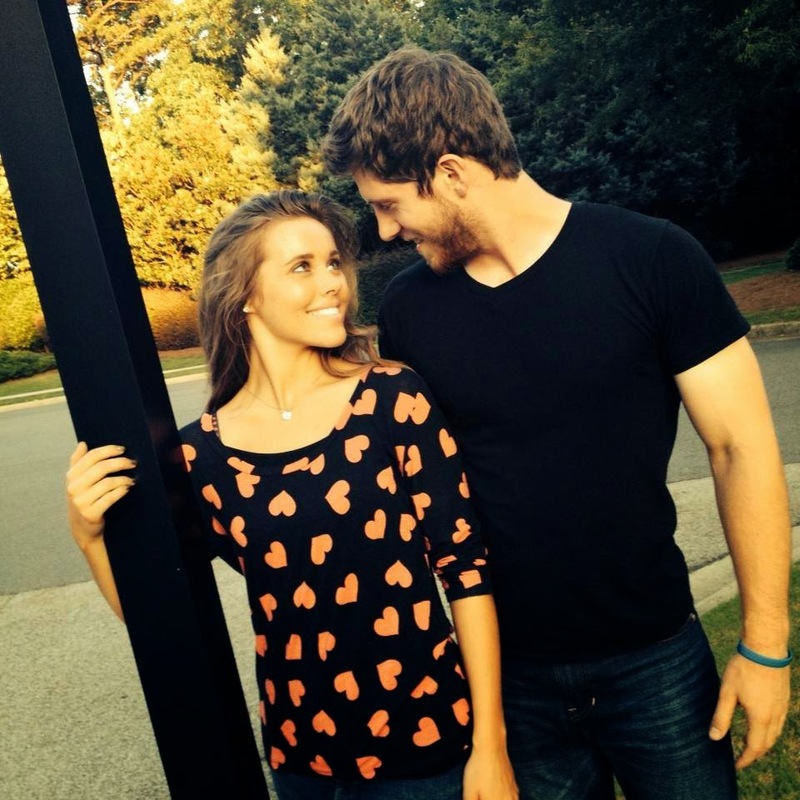 That's right, Jessa Duggar is engaged! "We are so blessed to be engaged!" the couple told PEOPLE Magazine. "God has written an amazing story through our courtship, and another chapter has just begun! We are thrilled to see what the future holds – especially the wedding bells!" Like Jessa's brother Josh and sister Jill, the couple is saving their first kiss for marriage. During their courtship, Ben and Jessa only shared quick side hugs during pictures and greetings, but now that they are engaged, they are free to hold hands. The date of the wedding has not been announced, but the couple is looking forward to tying the knot. Both Ben, who is the oldest of seven, and Jessa, who is number 5 of 19, hope to have a large family and plan to leave the timing up to God. "We are talking about our goals and even just like future, with family, we both talked about adoptions," Jessa told People. "We are open to having children and both want to adopt, too." How is Ben handling his new life in the spotlight? "The Duggar family gets asked a lot of questions," he told People. "A lot of times we take it as a lesson, and we ask other people who are older and wiser than us to share wisdom with us about relationships. It's an important thing." Jessa says she is taking advice from her sisters on how to be romantic. "[Ben and I] do have a lot in common," she told People. "He is a mellow personality, very romantic and very sweet. I am very cut and dried. And my sisters are coaching me on sweet romantic things to say." a bit odd that he choices to propose right before the new season kicks off. as for when the wedding is set to take place I would guess November 3 months after the engagement the same as Jill or maybe they will wait four months and have a Christmas wedding. Wahoo! Congrats Jessa and Ben! so very happy for you both God bless and just enjoy your time together! AAUUGGHH!!!!!!!!!!!!!!!!!!!!!!!! THAT IS SOOOOO EXCITING!!!! Congratulations Ben and Jessa!!! May God bless you both in this new season of your lives! Thank you for being a godly example to people all over the world of what purity is...that is very rare, and really appreciated! I'm looking forward to hearing about the wedding plans, and then later on, seeing the wedding! ;) May God bless y'all! Phil. 4:4 "Rejoice in the Lord always, and again I said REJOICE!" Yay! Congrats! I knew it was coming,but didn't know when!!! Congratulations to the happy couple. I'm wondering if there is added pressure to sort of keep up with each other as far as courtship and marriage. Ben and Jessa have taken almost a year while her sister took half that time to marry. How do they know when it's been long enough in a courtship to move forward with an engagement? Congratulations!!! Can't wait to see the new episodes. I wonder who is next? 3 cheers to the future Mr. and Mrs. Benjamin Seewald: May you have a wonderful marriage filled with lots of love and great times, and God-Willing, the gift of children in the near future. Oh my gosh I have been waiting for this post. Congrats Ben and Jessa have a wonderful life. Congratulations and many blessings to the sweet couple! Finally after almost one year he has popped the question. Excited for you two lovebirds. OMgosh!!!!! I knew this was coming but i didnt think this fast!!!! I am SOOOO happy for the couple. May God bless rhem all the days of their life! Congratulations Ben and Jessa!! I'm super excited for you both, and look forward to what God has in store for you two. Exciting! Now negative commenters please just congratulate Ben and Jessa instead of put Ben down for his beliefs, hairstyle, or choice of glasses!! hope he can support this young lady. sorry but i wish she would have said no. I agree but I think she was locked into it by this point. Can you imagine the pressure?? Just look at the comments on this blog alone. All of these people pushing for marriage and babies. There was no way she could say no if she wanted to. Can you imagine how bad a couple would feel if they couldn't have children but people had told them they hoped god would bless them? So if infertile, does that mean god doesn't like you since he didn't give you the blessing of children? I'm just saying that this family has to feel so much pressure and I feel sorry for them. JimBob and Michelle were adults and chose it, but the kids have lived under a microscope and had no choice. Maybe people should stop with the pressure of When are they getting married? When are they having babies? Wishing them well is good, but wow, demanding they live the way you want is crazy. That is just so sweet. Congratulations to both Jessa and Ben it made me cry to finally here the news. I can only imagine how Jim Bob and Michelle feel about it, just so exciting. Just can't wait to see the new Duggar season. We are thrilled to see what the future holds – especially the wedding bells!" And my sisters are coaching me on sweet romantic things to say. May God sincerely bless both of them and watch over and guide. WOW, I'M SOOOOO HAAAPPPYYY FOR YOU GUYS!!!!!!!!!!! God bless you, two, and I hope you will have a great life together!!!!!!!!!!!!! I LOVE LOVE LOVE THE DUGGAR'S!!!!!!!!!!!!!!!!!! Congratulations and best wishes all God's blessings are wished to you both. Enjoy this special pre wedding time together. Congratulations on your engagement. Can't wait to see the wedding. Hope the best for Jessa don't know about that Ben??????? How surprised was I to be scrolling through my Twitter timeline and find this wonderful bit of news? I had to come here to read more. Congratulations to Ben and Jessa. Woo, I CANNOT get enough of these Duggars. I will be so disappointed when the show finally ends one day (hopefully years and years in the future). That's awesome! I can't wait to hear more details. That's truly a blessing! Being coached on romantic things to say? Please Jessa, be yourself! Yes! Please be yourself! I worry that she is more in love with the moment, the attention she gets right now, feeling special, than in love with Ben in particular. Really? You worry about it? Do you even know them? What a burden it must be for you! She doesn't appear to be the attention seeking type. Yay! So happy for them! I think everyone saw this coming!! How old are Ben and Jessa? More details soon, i hope? My mom and I are happy for you two. Congrats! It's so funny that the romantic one in the relationship is him! :-D and Jessa is the one left speechless! Lol! Congrats to Jessa and Ben! What a busy year this has been for the Duggar family - full of changes and excitement! I saw a friend share the announcement on Facebook and at first thought, hmm it seems like there is always a big announcement right before a new season starts. Then I got on here and saw he just popped the question last night so maybe it's genuine coincidence. I still wonder if the engagement timing was planned to hype everyone up for the next seasons ratings. It's been a pattern. Anyway, congrats to the couple. I wish them the best! Yay!!! I knew it was coming soon... Congrats to Ben and Jessa !!! Time to update the cover photo! Congratulations& God bless Jessa & Ben! Congratulations! What an exciting time. Best wishes. Wow, finally! What kind of job Ben holds? I'm curious how he will be providing for the family. Super cute! Can't wait till the wedding pictures are available! That make such a cute couple! I knew time was drawing near..Congratulations and Blessings to the both of you! What I want to see is jessa's ring! He is 19 and she is 21. I can't wait to see a ring shot and hear the whole story. Good bless congratulations. Grace, Jessa is 21 and I think Ben is 19. Great family. I wish them God's blessings always. I can't get enough news on them. Just love them. Wishing this couple every happiness! Finally!! I thought it was never going to happen. Kinda think they are a little young though. Congratulations!!! Enjoy this special time. Praying God richly blesses you as he directs your life together. Congrats! I'm so happy for them! Anonymous 2 I'm guessing she is being herself and learning how to be in a relationship. I think it's awesome that she loves him enough to go out of her comfort zone to do the things that makes him feel loved. I don't know if you have heard about the book the 5 love languages by Gary Chapman but we all have different ways that make us feel loved and if we can figure out what our significant others way of feeling love is and make sure we show it to them in that way our marriages will be a lot happier! BTW the 5 ways are 1. Words of affirmation 2. Quality time 3. Receiving gifts 4. Acts of service and 5. Physical touch. Anyone out there looking to improve their relationships this is an awesome book! Yes, Jessa is trying to speak Ben's love language. The problem is that Ben is not doing that for her! She clearly states she doesn't like mushy, sappy, sophomoric things, but Ben keeps doing it. So what happens when they are married and she finally gets tired of HER needs not being met? @AnonymousWe just have to trust Jim Bob and Michelle's judgement. What we see on TV Is only snapshots of Ben. Looks like the pearl bracelet was part of the engagement scavenger hunt. I hope young people see how ben and jessa have enjoyed courtship. The world makes chastity seem like a chore, but Gods ways are always the best. I think it would be great if Ben and Jessa would adopt! Being anti catholic isn't a belief. He is a Christian, that is his belief. No catholic is upset with him for being Christian. Catholics are themselves Christian. We are also not upset he isn't catholic. We are upset the entire family feels this way about any Christian not of their flavor. They are self churched. They collectively feel the way Ben has been posting. They can't blame it on the individual opinions of their church leadership. He still doesn't get it. The family doesn't get it. Besides the things said in complete error I'd like to point out Luke chapter 9:49-50. We aren't to quibble at each other. I am glad we now know who the family is. If they want to be married they should marry. I hope they get to work at a field of their choice and have the family they would like to have and are as happy after the I do as they are before it. Hopefully they have money to start life off from the book and the show. I love hearing Duggar engagement /courting news. but at the same time I think of the other siblings left at home they are essentially losing a buddy/ best friend..it has to be very difficult to not have them living with them anymore, this family is always together day and night 365 days a year. I imagine its an emotional time for them to come to grasps with a sibling not being a part of the household anymore..I am extremely happy for Jessa AND Ben, and am hoping Jinger who is Jessa's closest friend doesn't have a hard time seeing her sis move away. As if Ben would plan the proposal to boost publicity for the new season of the show. The Duggers do not care about ratings and publicity! Timing of the engagement was just a coincidence.. can't believe anyone would think otherwise! Stepping outside your comfort zone can be good. However, these two could live another 80 years. Staying outside your comfort zone for 80 years could get a little taxing. . . .
Congratulations! So happy to hear you want to adopt. There are so many needy children already living in this world. Any child would be blessed to be a part of your loving family. I am certain all the Duggars would welcome such a child with open, loving arms. They are free to hold hands....Goodness, this is the land of the free!! Do you know if Jana or John David are courting or have met someone that they are interested in? It seems that there are not many news about them lately. @Anonymous Jessa's birthday is November 4th so maybe around then. Congrats Jessa and Ben!! Ben probably don't care about the age diffrence cuz his parents are a year apart! I agree with a previous poster about Jessa's mom and sisters coaching her as to what "romantic, nice" things to say to Ben. What is she going to do when they aren't around after she's married. Clearly if she STILL doesn't know what to do at this point for Ben; it's not looking good. Sooooooo Excited!!!!!! Cannot wait for the wedding!! September 2nd come soon!!!!! @AnonymousShe said "stay tuned" in the engagement video.... doesn't seem far-fetched at all that they would time this announcement to coincide with the new season. Remember when bill the sound guy commented to the camera in a wry way that Josh had told tlc of positive pregnancy test results before he told Anna?? Something I don't like about Ben...he seems to love the spotlight and put on a show. I'm not the one engaged to him, so really hope they're happy for real! Ben seems like he loves the attention a bit too much, like he's putting on a show. Sure hope they're happy for real. best wishes and God's blessing to the couple. I do hope they are happy. I have my doubts like others have mentioned. Ben seems a bit immature, and can he really support her?? Maybe they will get Josh and Anna's old house, that way they won't have to pay rent. I agree with anonymous #83's statement. LOVE THAT COUPLE TOO CUTE TOGETHER! :) ;) :) ;) SOOOOOOOOOOOOOOOOOOOOOOOOO HAPPY FOR THEM! YAY!! JESSA & BEN ARE SO CUTE TOGETHER!! CONGRATS!!! Is Janna courting anyone? Or at least talking to anyone? how is a 19yr old(now) full time community college student PT windshield repair man going to support a family ? jill's parents gave her/derek ( does derek pay rent ?) the cat house, but derek is a college grad with a career(he is an accountant at walmart headquarters) so he has the finances. what finances does ben have ? Cant wait to see it on tv!!!!!! I'm excited for Jessa and Ben. I hope that they are truly happy. How romantic! I'm jumping up and down! I'm so excited for them both! God bless both of you Jessa and Ben on your engagement and your future together. You are a beautiful couple, and love watching you on the show. They are going to have some beautiful children when the time comes. she's very pretty and he ain't bad looking! I just don't have a good vibe about them. They just don't seem to go together. Maybe Ben is not himself on TV because he is shy. Hopefully I'm wrong and they will have a happy life. I am happy for Jessa if she is truly happy! I also have concerns about Ben's age, immaturity, and ability to provide for Jessa and a family. He is so young and not really established with a career. Michelle has said more than once that when the children get married they "Leave and Cleave". She makes it sound as if they will not help the couple financially. This is perfectly fine if that is their belief, but I am concerned that Jessa and Ben won't make it financially unless Jessa joins the work force. I guess time will tell! May God bless their union! Wedding is Nov. 1, 2014 Congrats! Jesa & Ben! Congrats Ben and Jessa! You two are great together! God Bless you guys! Happy wedding planning! I would think, first of all, that Ben chose to wait til after Jill & Derek's wedding to propose, which was the polite thing to do... not stealing their thunder, so to speak. And if you took the time to read and/or watch the speak about his proposal, he said he'd been working on planning how to propose for months. Finally, he spoke of reasons they should get married sooner rather than later to Jessa several times during the season. Maybe you don't watch the show? You get married only once! May God guide your foot step through your life together! just read......not been up to date with my entertainment reading. If Jessa and Ben were quote normal teenagers,I would hesitate them marrying so soon,but being a Duggar may be a great thing.....these kids are taught from early on to be more mature than others their age. Plus they have traveled parts of the world some us have never seen. Not only the good parts but also the tragic parts where poverty runs rampat. So yes Jessa and Ben are young I feel they have good heads on their shoulders and just enjoy being engaged and have fun planning your wedding!!!!!!!!!!!!!!!!!!! You guys are so cute together. Congratulations! I think Ben and Jessa will be just fine. Most of us when we start out and are first married aren't rolling in the Benjamins. In fact, my husband and I started out with hardly anything and we made it just fine. You find ways to be creative with the little money that you have. Now my husband has a bachelor's degree and I have two degrees, and we accomplished all of this while being young and married with children. It all works out. We put our trust in God and we were blessed immensely. I wish Ben and Jessa the best in their new adventure together. I know that they will prosper and be a happy together because they have such a love for God. Sometimes people who are in love marry for love and forget about the rest. I pray God will equip them with the ability and blessing of being able to support the family financially. Until then, I believe a large family would be very difficult to financially support. Thank you! I think they should have waited a bit longer even though there was the social pressure from their families. I do not care what everyone says, marriage is certainly not for everyone. I wish that Jessa can still have some career other then being a housewife. Wish when they showed the wedding that they stayed with the wedding and not back and forth Think we saw more of Jim Bob then the actually wedding. Congrats, Jessa and Ben... you two are cute together!!! I just wanted to say you Jessa are so sweet and Ben is so perfect for you. You have such a great support system with your sisters. Hold on to their sweet words!! Both have God first and both hold onto him and he will keep you strong forever and ever. May God keep you two smiling everyday. Love you both! May the Lord bless your marriage!